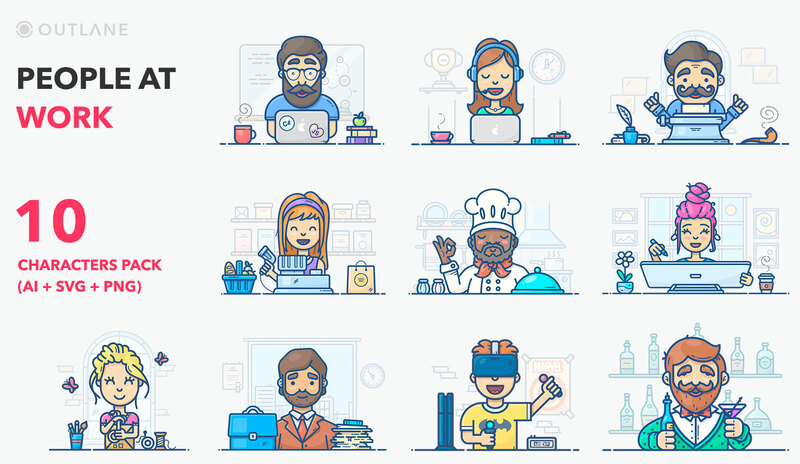 Outlane vector characters are a great way to make your content look more user-friendly. These fun, colorful and unique characters will make an amazing impression on your website/app visitors. The vector source files are included, so you are able to easily customise and recolor illustrations in any way you want. As a bonus you’ll get 4 GIF animations of the following characters: Programmer, Gamer, Writer, Support Girl. Note: the GIFs have white background.